Fill in the information below and I'll send you the PDF right away. I'm looking forward to hearing of your fitness progress! If you have any questions, please give me a shout and I'll do my best to help where I can. See you on the inside! New to fitness or looking to bridge the gap between gym visits. 5 simple exercises that will change your life forever! If you are overweight and unfit and want to change this but DON’T want to JOIN A GYM – Here are 5 exercises that you can do TODAY from your own home that will get you REAL RESULTS! I was stuck in my 1 bedroom flat for 6 months just becoming out of shape, soft and flabby. I had no access to a gym and no room for any home gym equipment. This also had a big effect on my mental state and I could feel my whole well being and vitality leaking away. One day I decided that enough was enough and I would turn this around. But how would I do this from my position?As a fitness instructor I knew about exercise bands but I had always favored bulky dumbells, barbells and big gym machines to train myself and clients. But now I had no choice but to try exercise bands! I grabbed a good quality set for around $30…. Using my knowledge of basic movements I set about trying to emulate my training in previous years and I came up with a simple little routine. A few short weeks in and I could not believe the results that I had earned from this minimal home workout routine and it got me questioning my previous years spent in a real gym! I want to share the very routine that I started on with you right now. 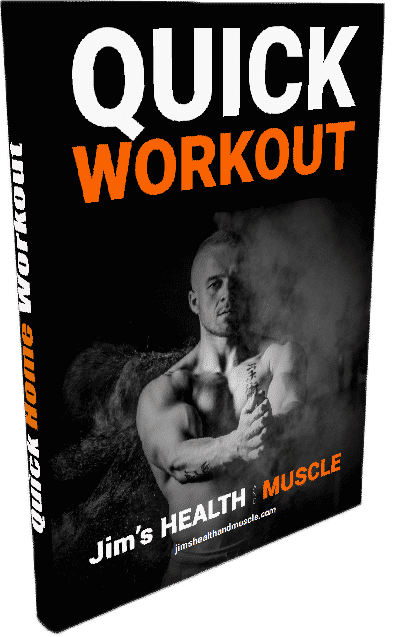 Its free and I will be there to help you out if you need me.I will also send you some more free training ideas that you can try to further your fat loss, muscle toning and general fitness results. All of these training progressions can be done from your own home. Enter your email at the top of this page and let’s get started right away! I’m really excited to have you on board and watch you succeed with your fitness goals!